We are offering a wide array of PVC Coated Cable Ties in Abu Dhabi, UAE. The PVC Coated Cable Ties that we are providing to UAE market are made of grade 316 Stainless Steel and are widely used in a number of applications in diverse industries. In the past few years, we have grown as a popular name amongst the reputed PVC Coated Cable Ties Suppliers in Abu Dhabi, UAE. 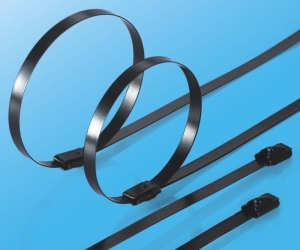 We obtain these PVC Coated Cable Ties from reputed manufacturers. They produce the PVC Coated Cable Ties in the high-tech environment as per the International Standards. Clients can contact us through phone or email to have business with us and buy Releasable PVC Coated Cable Ties at reasonable market prices.